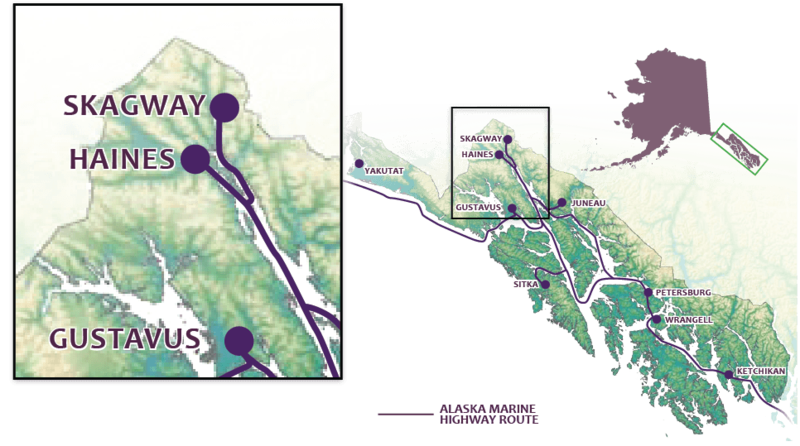 Haines is accessible via the Haines Highway or the Alaska Marine Highway System (AMHS), Alaska’s state ferry system. Several RV parks and campgrounds in the area provide travelers with a variety of choices. Whether you stay right in town or commute a few miles out, you will find sites offering views of Haines’ breathtaking scenery, with optimal access to all your Alaskan outdoor adventure interests. RV parks in and around town offer full-service hook-ups, state parks located outside of town allow tent and RV parking and Portage Cove State Recreation Site, with scenic views of the Lynn Canal, provide tent camping for backpackers and bicyclists only. Cook freshly caught salmon on the grill while chatting around the campfire about the adventures of the day with new friends.